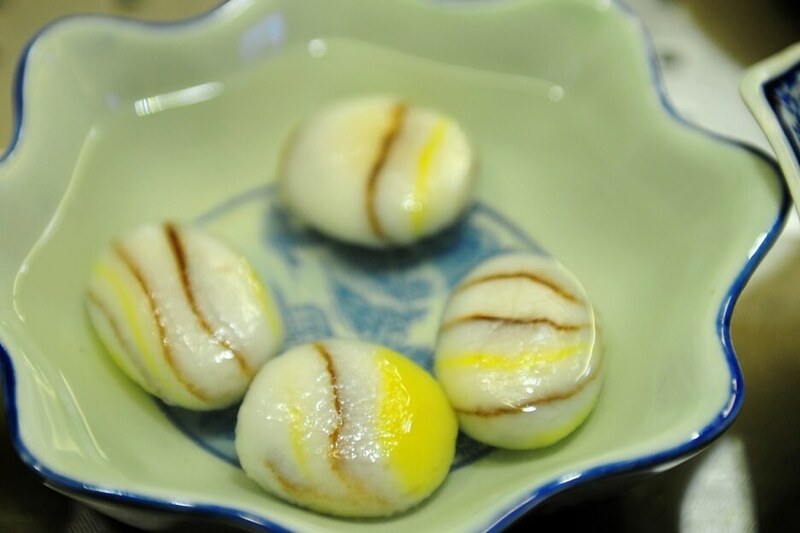 Yuhuashi sweet dumpling is a traditional local snack in Jiangsu Province and a kind of cate as a dessert of Jiangsu dishes which is of great local characteristics. 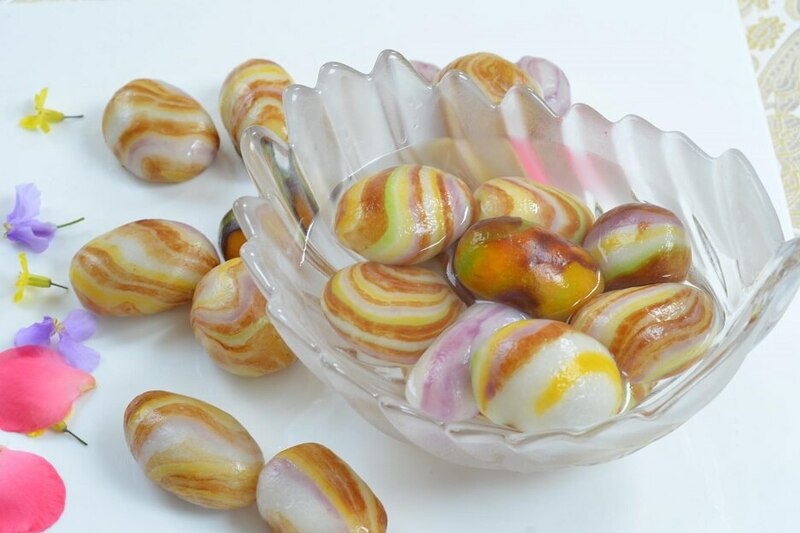 It is crystal and shining in water, reflecting unusually beautiful patterns through the water. 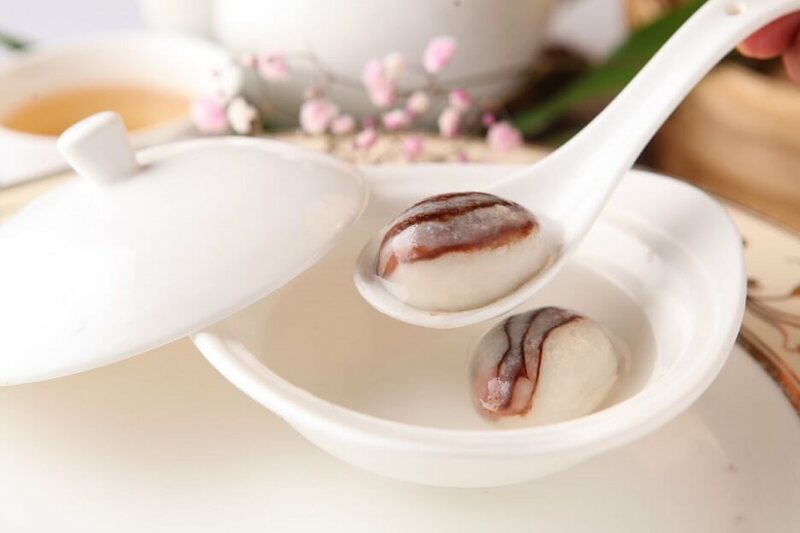 Yuhuashi sweet dumpling is very big and looks like the moist Yuhua stone with wave shaped patterns and is so beautiful that people are even reluctant to eat. Put some clear water into pure glutinous rice flour and knead evenly, then knead into white glutinous rice flour paste; take some more pure glutinous rice flour, then add some cocoa powder and appropriate clear water, knead into coffee glutinous rice flour paste, and then wrap the coffee paste by the white paste to knead into the sweet dumpling wrapper with Yuhua stone texture. 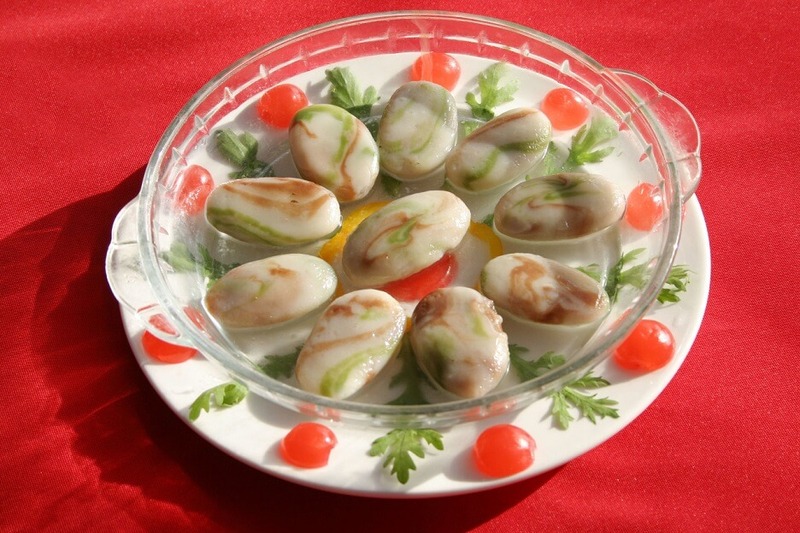 Wrap the four kinds of stuffing as the mung bean paste, red bean paste, mashed taro and wax gourd respectively into the wrapper, leave different marks on the sweet dumplings of different stuffing to facilitate identifying them when cooking together. 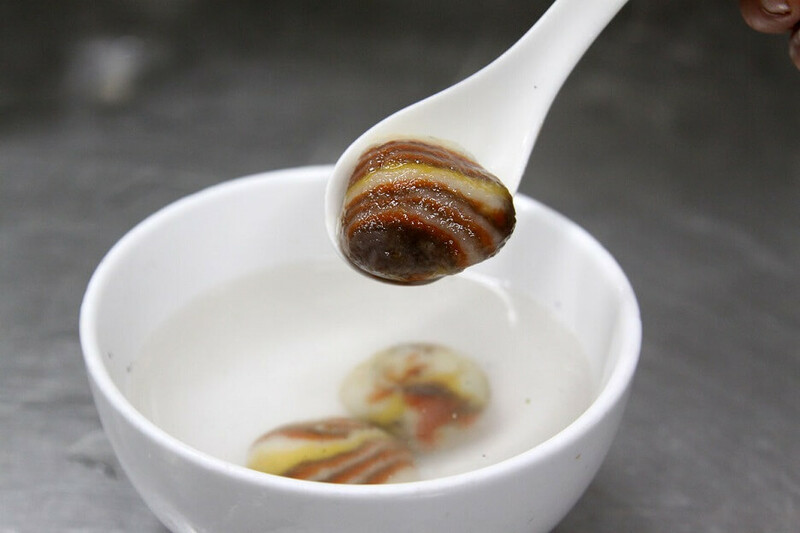 Put the wrapped the Yuhuashi sweet dumplings into a copper pot with boiled rock candy water and cook, then put four sweet dumplings of each kind of stuffing into each bowl. 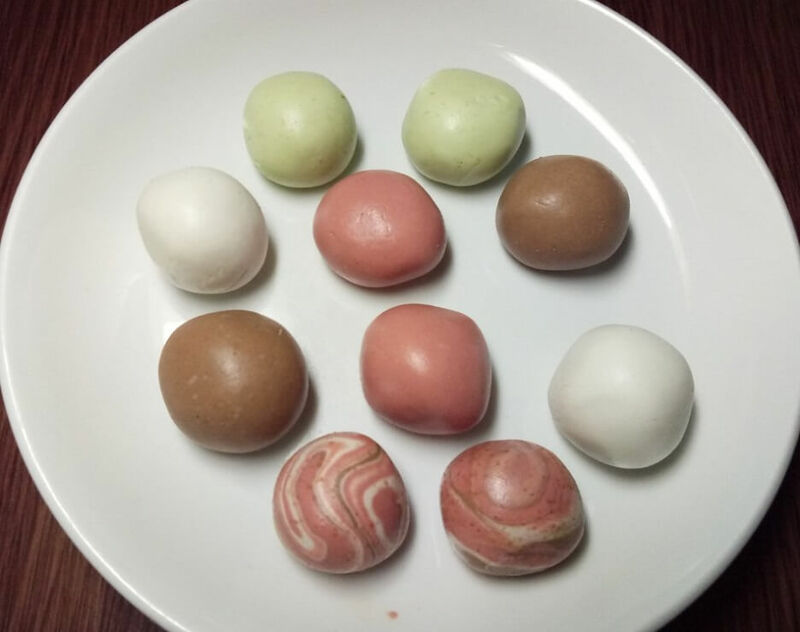 When tasting the Yuhua stone shaped sweet dumplings, it leaves a feeling of returning to the nature, appreciating the top artistic conception of stone culture and food culture, so Yuhuashi sweet dumpling is really the refined one among all kinds of sweet dumplings.